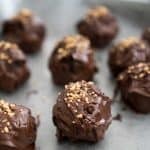 These easy 3 ingredient no bake Chocolate Peanut Butter Truffles are a fast dessert you can make in just 20 minutes! I have to tell you, this year I’ve been a lazy Christmas baker. Last year I barely made anything because we were in England and traveled to Scotland over the Christmas holiday. This year I did so much baking for the blog leading up to December that I feel all baked out. So what does one do when they have no desire to turn on the oven yet there are tasty gifts to make? Make these super easy, no bake, three ingredient chocolate peanut butter truffles! 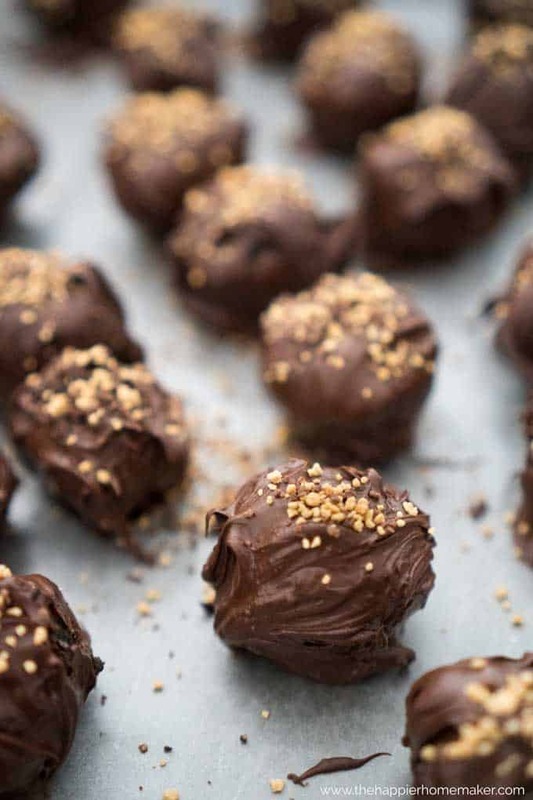 These truffles are made with Peanut Butter OREOs. Now, truth be told the peanut butter flavor isn’t super strong in these, if you’re wanting a huge peanut butter flavor then I suggest these Peanut Butter Balls instead. 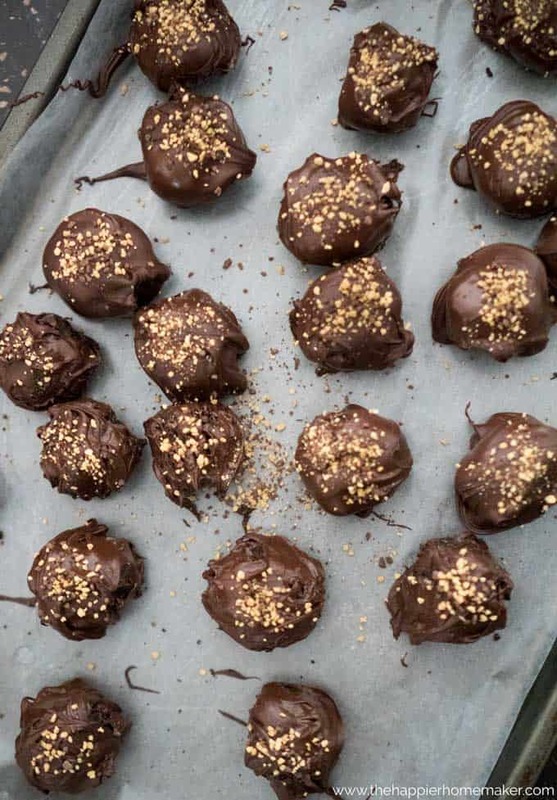 These are a more subtle peanut butter flavor that compliments the chocolate instead and gives a slightly different flavor than traditional OREO truffles or these truffles made with mint flavored OREOs. Easy three ingredient Peanut Butter OREO truffles are a no bake dessert that even the kids can make! Perfect for holiday gifting. Line a baking sheet or tray with wax paper, set aside. Use a food processor or blender to crush OREOs into fine crumbs. In a large bowl combine the cookie crumbs and cream cheese and mix until totally blended. Roll into 1 inch balls and place on prepared tray. Refrigerate or freeze for one hour. Melt chocolate according to package instructions. Hold the truffle between two forks and coat in chocolate, tap off excess. If adding toppings or sprinkles do so immediately before chocolate hardens. Keep refrigerated until serving. I used Wilton Turtle Crunch to top my truffles but I cannot find it online to link to. Are you a fan of OREO truffles? Let me know in the comments!